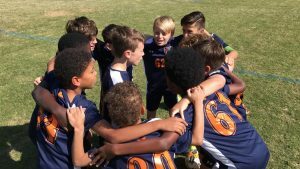 We believe soccer is a wonderful sport and a vehicle for instilling life skills in children and building character in our community. We believe in Martin Luther King’s concept of a beloved community - a community based on equal opportunity and love of one’s fellow human beings. We believe success is a process. We recognize each individual player’s skill level and help them reach their personal goals. What Guides Us? Our Core Values: Accessibility, Inclusivity, Impact, and Growth. Making soccer accessible to all youth, regardless of skill level, ethnicity, or socio-economic background. DDYSC is a need–based system as opposed to talent-based system. The program is focused on meeting the needs of community. We actively seek and aid those in financial need. Our type of outreach personifies who we are – placing diversity and inclusivity and life approach above all else. 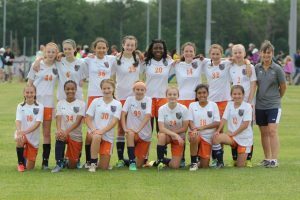 We utilize the universal language of soccer to bring players together from around the world. 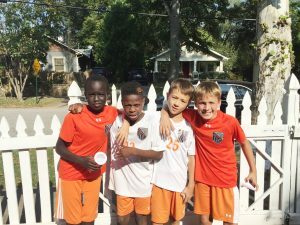 Our soccer family provides support to refugee families beyond the confines of the soccer field, including providing transportation, financial assistance and supporting them in their everyday activities. 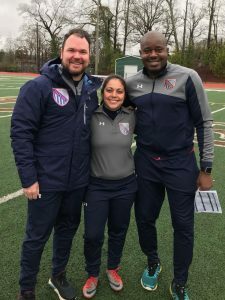 Our coaches are not here to teach for a season, a year, or an age group. They are teaching and mentoring for the life of the player. Their goal is to impart a healthy lifestyle, teach accountability and instill confidence.